Thanks to everyone who came out to the meeting! Great attendance and presentations! 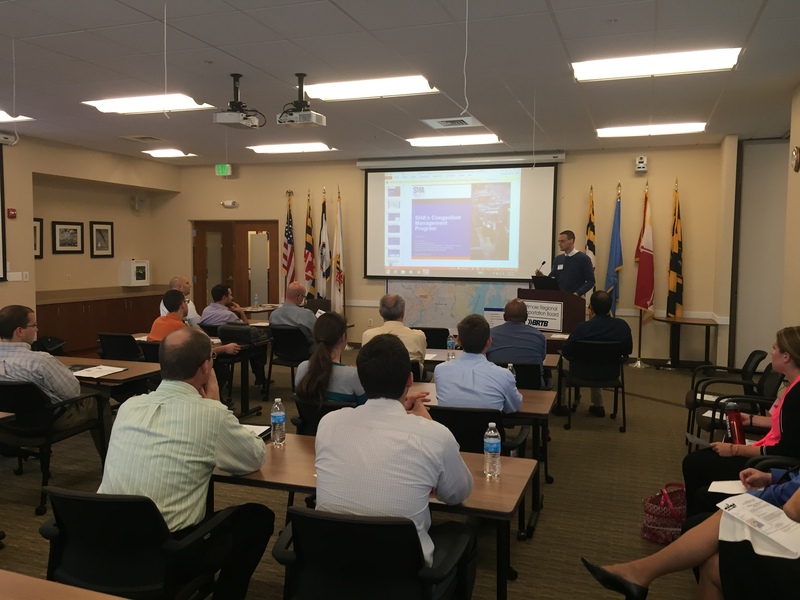 Eric Sideras presenting on Maryland SHA’s Congestion Management Program. 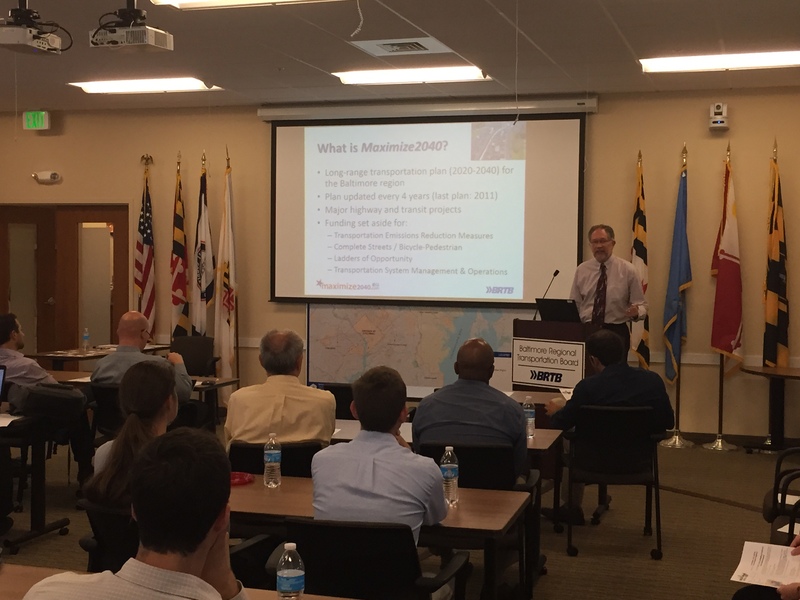 Terry Freeland presents the development of BMC’s Maximize2040: A Performance-Based Transportation Plan. 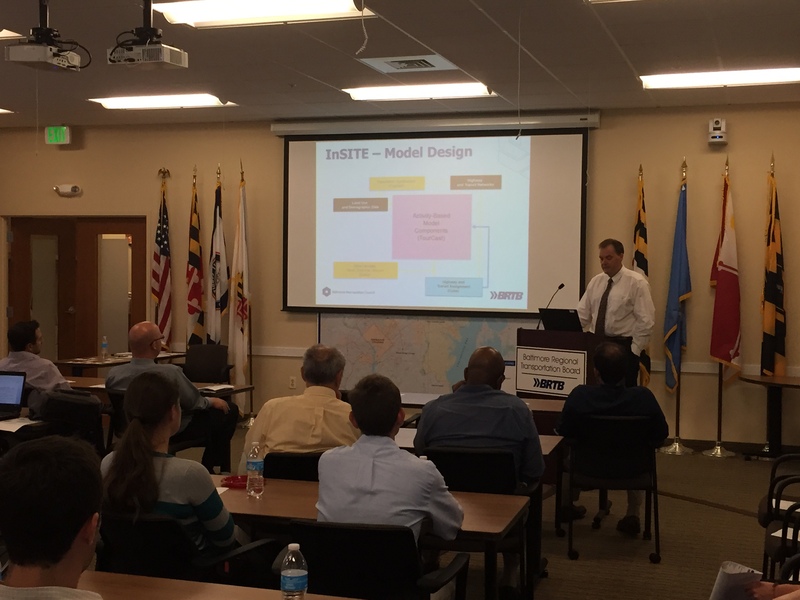 Charles Baber presents work done by BMC for the SHRP2 program’s C20 Freight Demand Modeling and Data Improvement. The Baltimore Metropolitan Council has opened their doors for us to host our meeting, which will feature two engaging presentations. Please join your fellow WDCSITE colleagues at the BMC in Baltimore, MD for technical presentations and a happy hour to follow on Tuesday, September 29th. Light refreshments will be served prior to presentations. PDH credits will be offered. Free parking is available at the McHenry Row West Parking Garage. Please use the following link to find the site map http://www.mchenryrow.com/play/site-plan. Please click on the link below to register for the 2015 WDCSITE Technical Meeting at BMC. Should you have any questions, please contact Seth Young (410-463-2531) for further details.